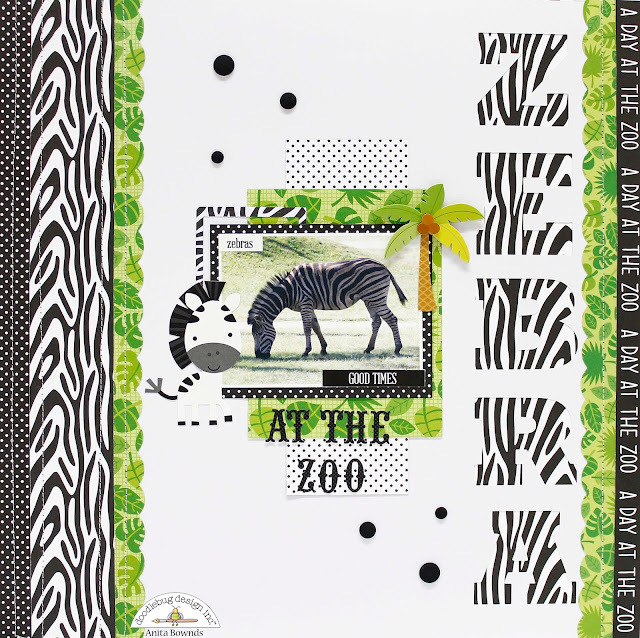 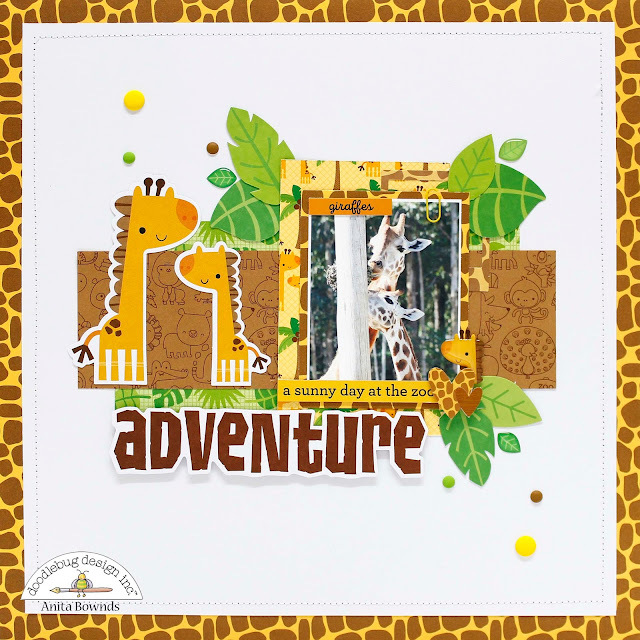 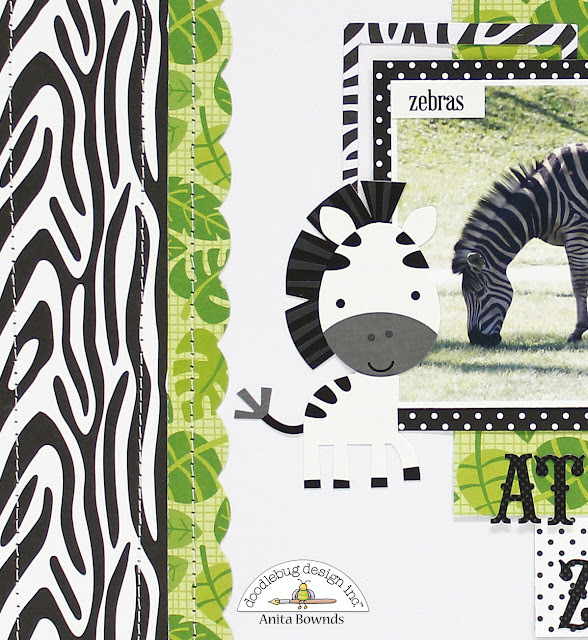 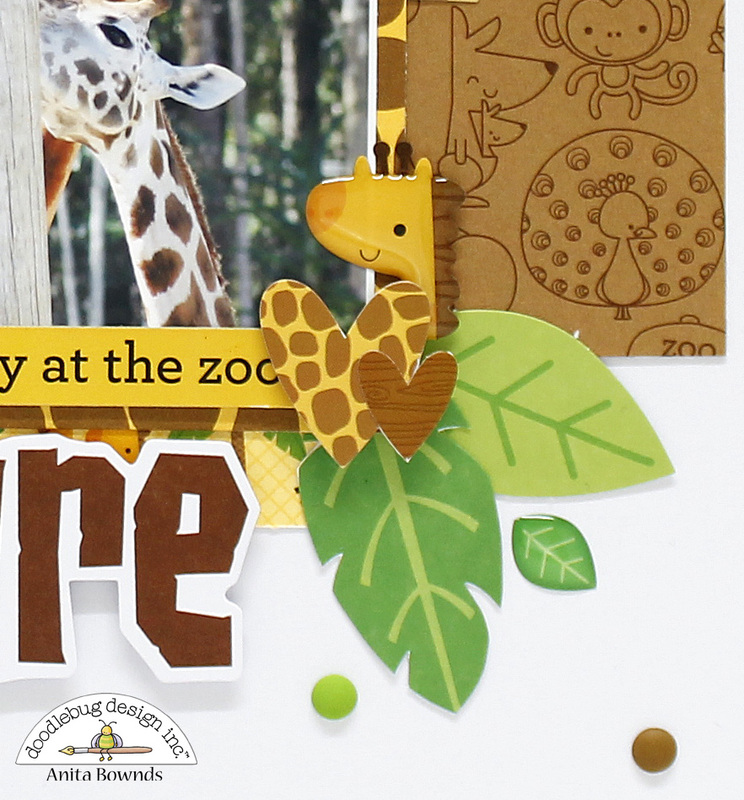 Anita here sharing a couple of zoo layouts.. 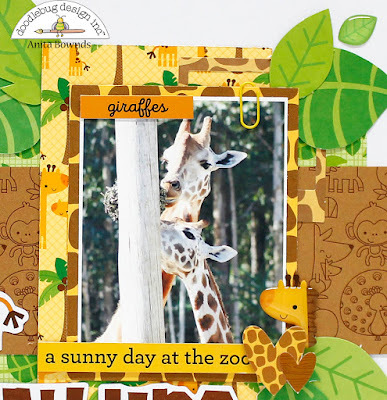 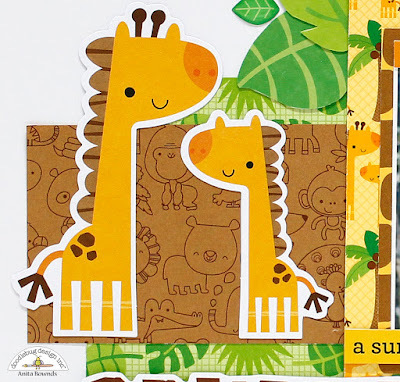 So for my first layout I used the cute little giraffes as my main theme for my layout as in my photo is a mother and baby eating ..
And adhering it al down to start to embellish the page. Love this zoo line! 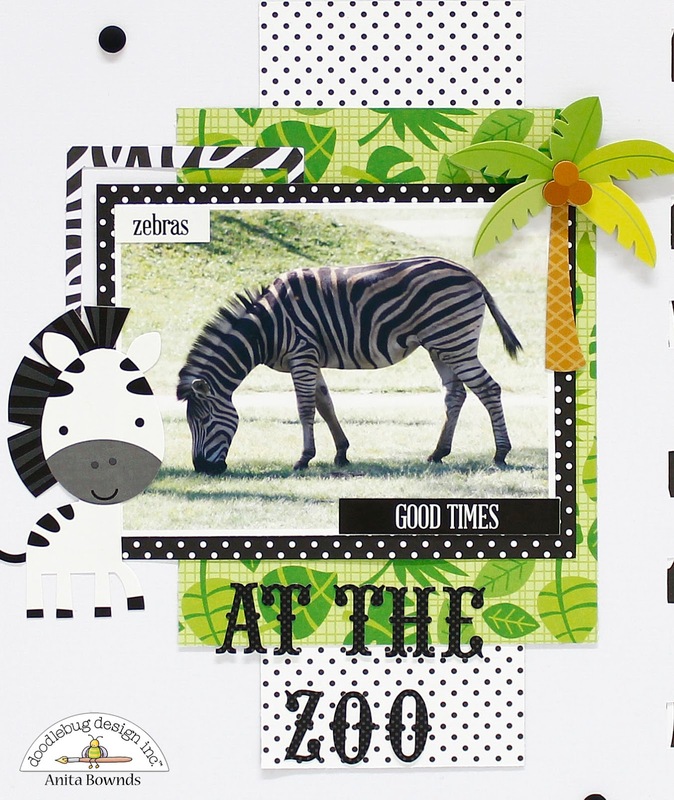 You coordinated it with your photos so beautifully!